What are Podcasts and why would I listen to them? 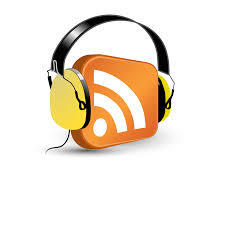 Podcasts are essentially radio shows but available for download from the Internet. In the same way video on demand, and Amazon, Hulu and Netflix provide an option to fixed time TV, Podcasts offers an option to fixed time radio. But, an even bigger change has taken place. Because podcasts can be made and distributed inexpensively, the barrier to entry was significantly reduced. This makes it possible for not only big companies like The Wall Street Journal, The NY Times, ESPN and NPR to make many podcasts available to listen to anytime, anywhere, but also for smaller groups with narrower audiences to produce them. So many non-profit research centers and educational organizations make them. There is also a market for some individuals to make a living by providing podcasts to a narrower audience. These are supported by advertising and also by contributions. According to a recent PEW research paper, 21% of all Americans over 12 years old listened to a podcast in the last month. One company that stores podcasts for download serves 28,000 different shows and has 44 million downloads per month. Listen to what you want when you want. Listen when driving to or from work, or anywhere else. Listen while walking or exercising. As a test, I opened my podcast player on my phone and did a search for "Science Fiction". I got a very long list of podcasts with people either talking about Science Fiction books, TV and Movies or reading stories. Some of the stories were new some were old radio shows. I got a similar list for a search on "mysteries". I then tried "cooking" and got another huge list. Remember, each of the 50 or so podcasts that showed up from my search, represents a show and most broadcast weekly. Finally, I tried "grapefruit". My program did not find any podcasts dedicated to grapefruit, so there are limits. Another advantage is that when you subscribe to a podcast, you do not need to download each one. Your podcast program will list each episode and provide a description of it, so you can pick and choose which to download and listen to. For example, I subscribe to the podcast "Stuff You Should Know" which examines a very wide range of often bizarre subjects like, "How Soylent Works", "Are artificial sweeteners really bad for you? ", "How watersheds work", "How porta-potties work" and "How a flea circus works" (I'm listening to this now). I am able to scan the description of each one and choose which I'm interested in enough to download and listen to. What Podcast Program do I use and why? I use Podcast Republic for my player. I tried many programs. I found this the easiest to use, but the real reason that I found it much better than all the others was its car mode. I often listen to podcasts when I drive. So I needed a program that had an option designed intelligently for drivers. This was head and shoulders above anything else I've ever tried. Easy to pause. A big pause button that is easy to hit. But, if that isn't what you want, just double tap anywhere. It will pause. I pause as I enter the city from a highway or when there is congestion ahead. Dark screen so it doesn't use a lot of battery in car mode. Turn off auto close. I can't be trying to turn my phone on, in order to pause the audio when there is congestion or a problem ahead that requires my attention. A big button to jump back in time if I skipped too far forward. Nothing else on the screen! Easy to add my own MP3 files to listen to. It has many other great features which might also be included in other programs like: Bluetooth support, easy to subscribe to channels and download their new podcasts, remember my play position, stream podcasts or download for later and a gazillion (I counted them!) more. It is free with advertisements but I bought it. It also has wonderful support. I requested a feature; two days later it was in the beta version, and the next week in the full release version. Podcast Republic has had over 2 million downloads and 43,000 reviews! It can search iTunes podcasts. I am not sure what the best program for iPhones is. There is an Academy of Podcasters that gives out annual awards in fifteen different categories. You can find about 10 good podcasts in each of the fifteen categories. In addition, the Wall Street Journal, NYTimes, and NPR offer many podcasts. Once you have the name of a podcast, simply enter it in the search of your podcast program and click subscribe. Your podcast program will also have a list of popular podcasts to select from and you can search on any topic of interest to you and get a list of podcasts to try on that topic.